Some secrets in the industry are better kept than others. And while we love a good surprise – the truth is we love even more when a new product lives up to the anticipation. And at first glance SRAM’s new RED eTap AXS – their new 12 speed electronic wireless groupset looks to be living up to the hype. And better yet we don’t just have the press releases – late last week a test bike (a Parlee TTIR to be exact) arrived for us to get some serious ride time with AXS. So let’s dive in and see what AXS has to offer. AXS (pronounced “access”) is the name for SRAM’s collection of connected components as well as the iOS and Android app used to configure them. The new collection is built around SRAM’s new X-Range gearing. X-Range is designed to give better gear ratios more closely attuned to individual riders preferences. As you can see in the two charts below – the goal is to provide a wider range of options for your ride. While also maintaining as many one tooth hops as possible. 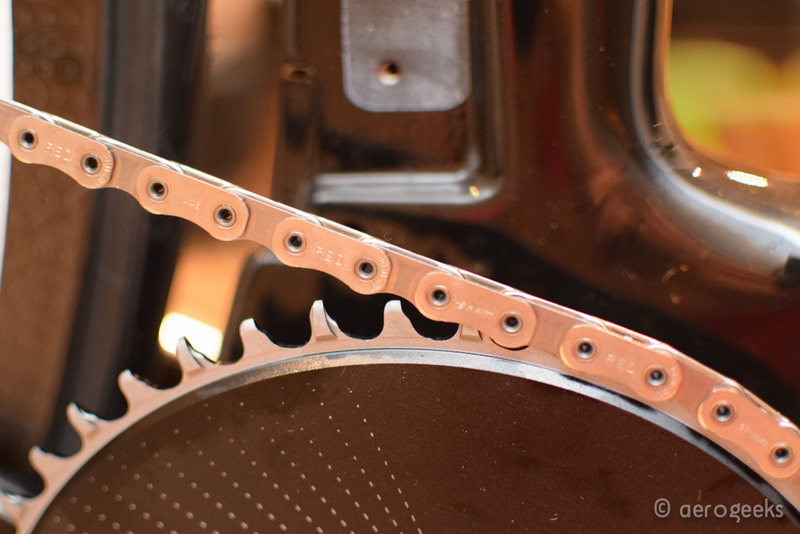 Wrapped around the new gearing is SRAM’s new Flattop Chain. At first glance you are taken back by just how different it looks. The unique link shape allows the chain to be narrower and lighter while increasing strength. Hard Chrome plated inner link plates and rollers decrease wear and prolong the life of the chain. The end result is designed to be quieter than previous chain designs but still having faster and more precise shifts. Like the new Flattop chain, the new XG-1290 cassettes are pieces of art in their own right. 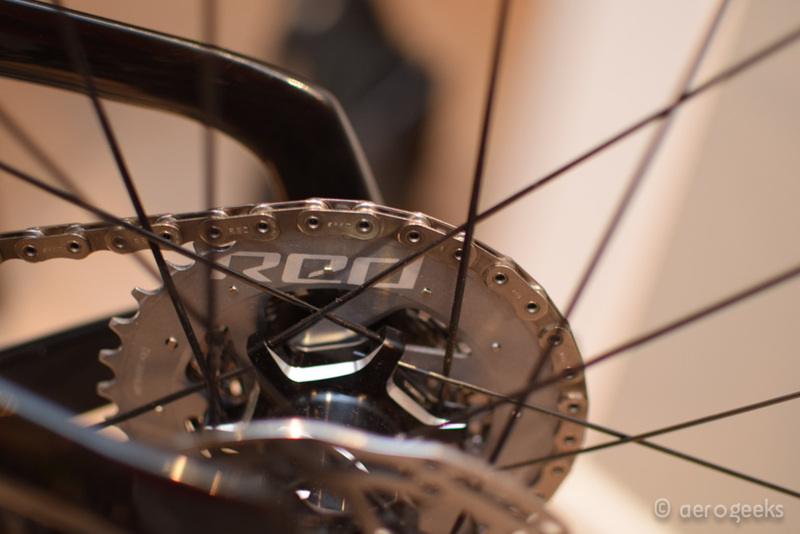 The cassettes are built to work with the XDR driver body (making them compatible with all 2012+ Zipp wheels). 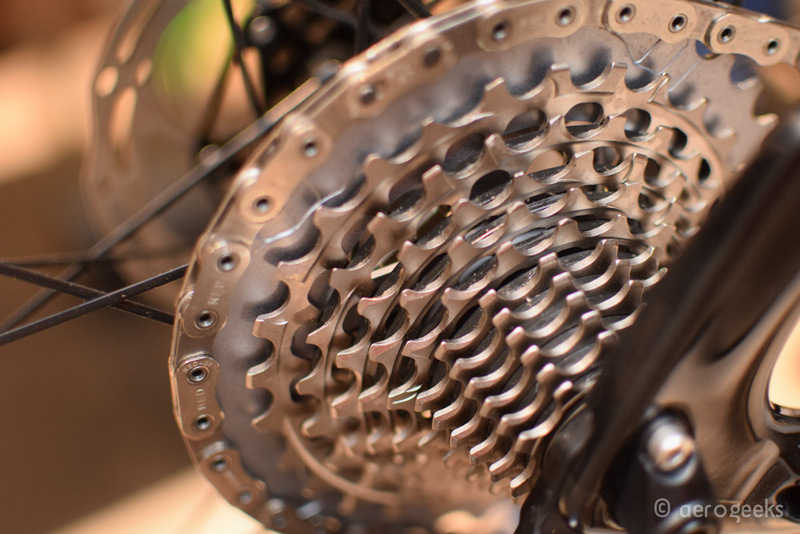 The cassette itself is machined from a single piece of steel to decrease overall weight. The new front derailleur (which we haven’t gotten a chance to play with as our test bike is a 1X affair) is designed to pair with the new AXS app for for a truly personalized riding experience. The derailleur has been streamlined (as compared to the previous Red eTap) to allow greater rear tire clearance (now 42mm on 700c tires). For those looking to upgrade an existing Red eTap system, the new derailleurs utilize the same batteries as previous. The rear derailleur is the heart of the AXS system. Starting with the fact that you use the same rear derailleur whether you are doing a 1X or 2X setup. SRAM’s new Orbit Chain Management technology is a new fluid damper system built to decrease sound and enhance chain security. The derailleur also features larger pulleys and ceramic bearings. 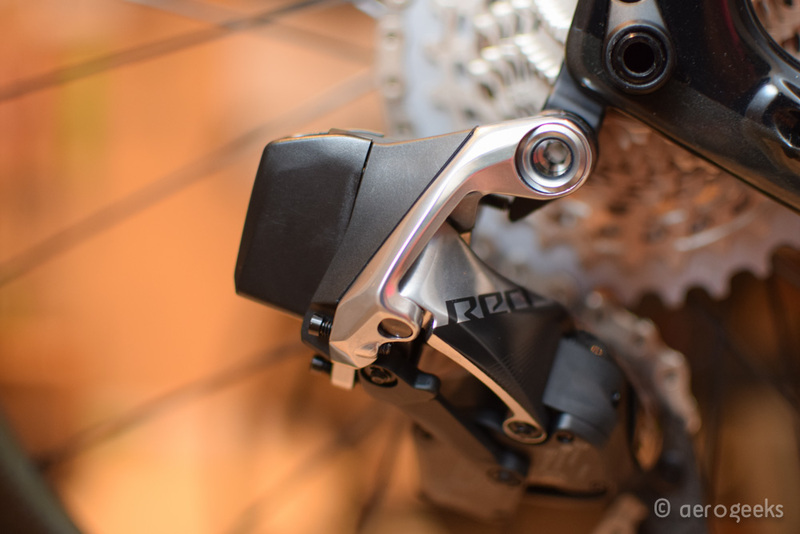 Like the front derailleur it also utilizes the previous generation eTap batteries. The new blip box is smaller than the original and designed to fit inside the new Vuka Aero (more details about that coming soon) as well as inside the stem faceplate cap, feedbox, or even the frame. 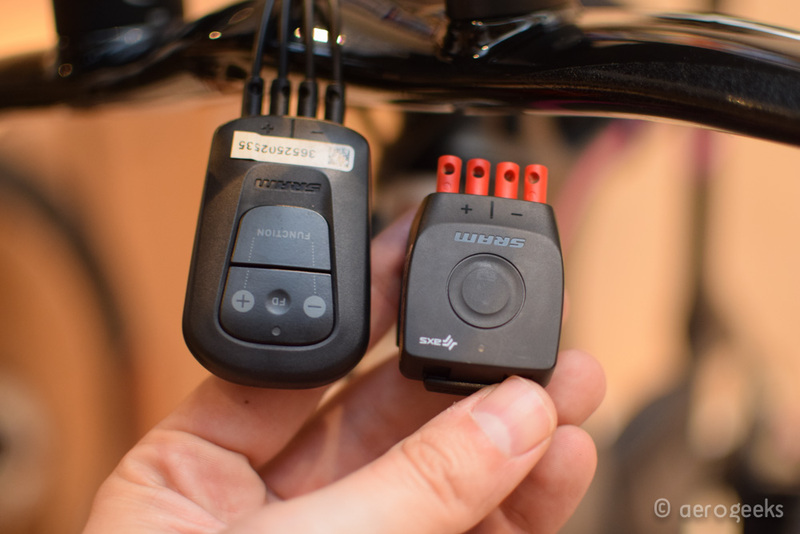 Like the original there are 4 ports available for both your aero bars and pursuits. Like the previous generation batteries, the previous Blips and Clics work with the latest generation BlipBox. Unfortunately the new BlipBox will NOT work with the previous generation eTap derailleurs so those looking to upgrade just piecemeal will not work. 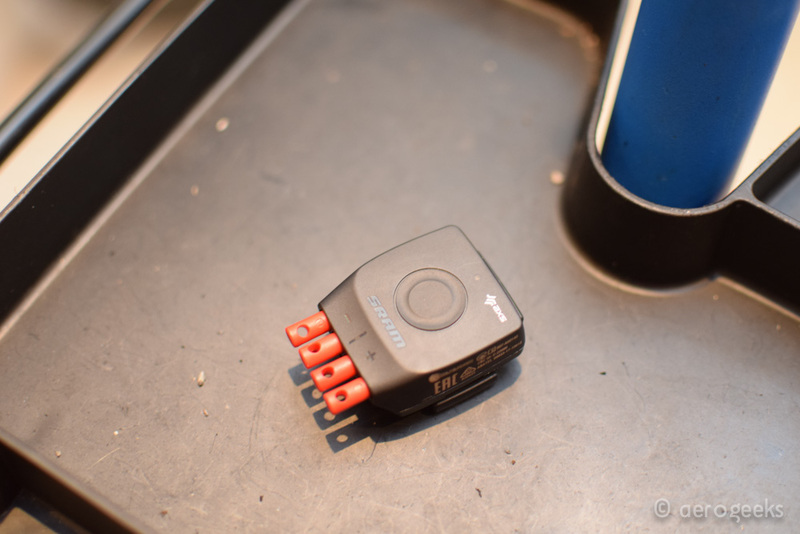 Our test bike features the RED 1 AXS power meter. This power meter features improved aerodynamics with its direct mount aero chainring with fully integrated Quarq DZero power. 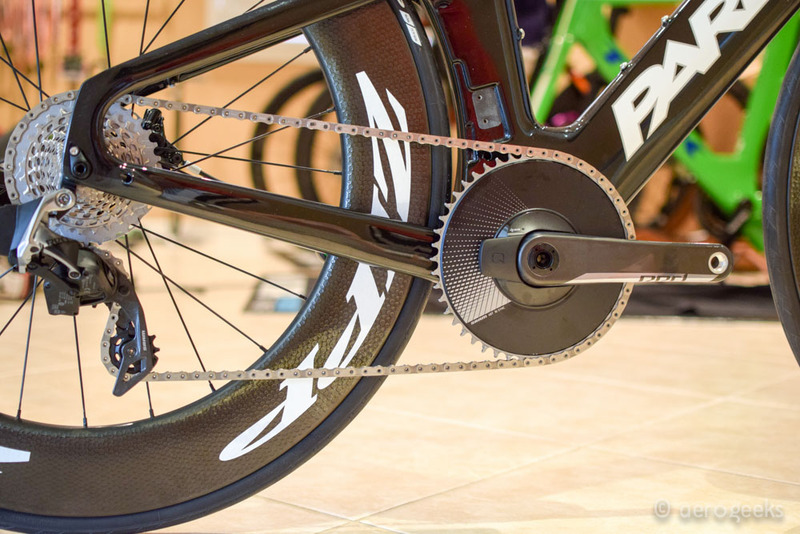 (The 48t and 50t feature the direct mount aero chainring while the 36-46t feature spider based power.) Power readings are accurate within +/-1.5%. The chain features SRAM X-Sync wide-tooth, narrow-tooth chainring technology (previously seen on Force-1) to provide maximum chain control. Rounding out the new AXS (at least for us triathletes) is the new AXS mobile app. 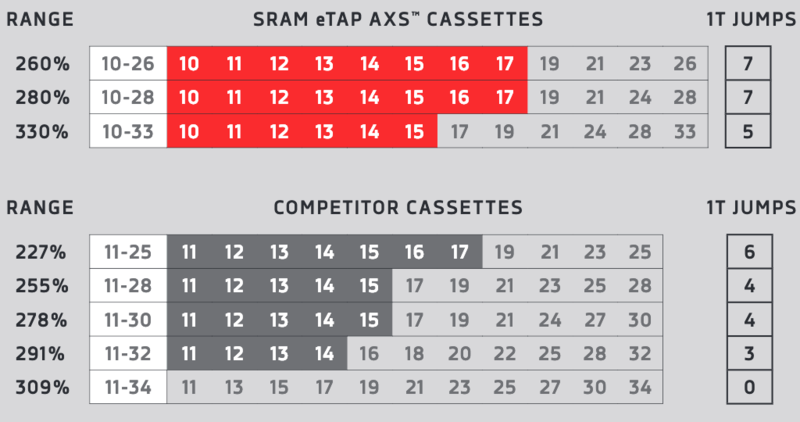 The SRAM AXS app allows riders to see battery status, change component behavior, personalize controls, get maintenance reminders, and update firmware. You can set both sequential shifting that controls both the front and rear derailleurs together, or compensating where a front shift makes a small change to the rear. Using the app you can also assign specific action to specific buttons around the bike. 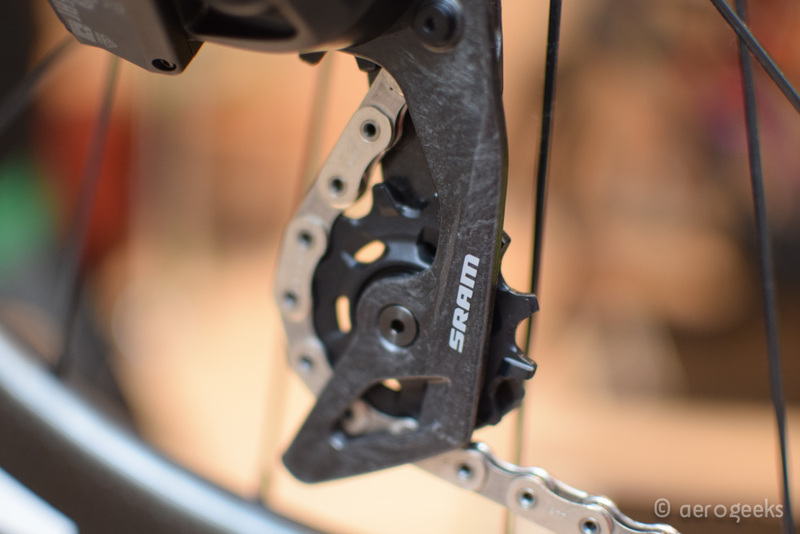 SRAM AXS is available today – as soon as we published this in fact. Those looking to upgrade there are a number of configurations available. We are going to limit just how much we can say as we have only had the bike built for a few days and haven’t even had a chance to play with the AXS iOS app yet. But so far we like what we see. 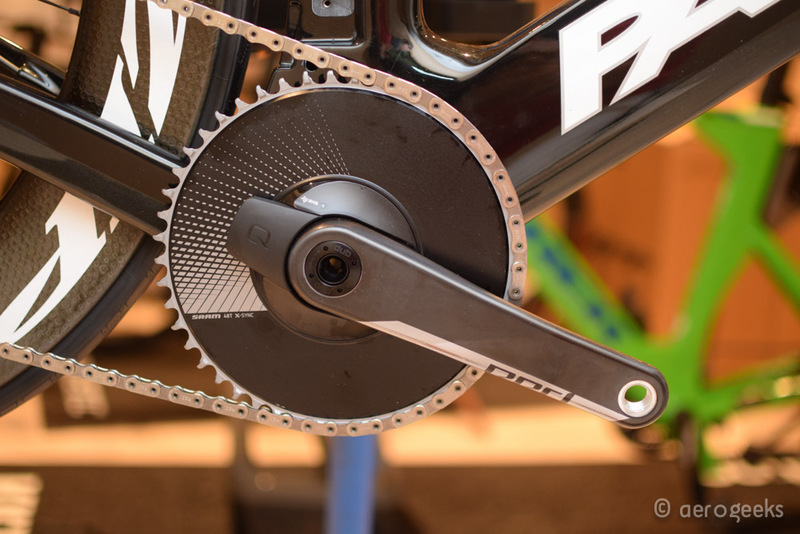 The inclusion of a 12th gear with electronic shifting makes 1X a very attractive offering. The new 10-28 cassette with consistent 1 tooth shifts from 10-17 seems perfect for south Florida riding. This combined with an aero front chain ring with integrated power adds to it even more. The new BlipBox is definitely interesting that it is smaller but as you can see in our comparison shot below – it’s not that much smaller than the original. 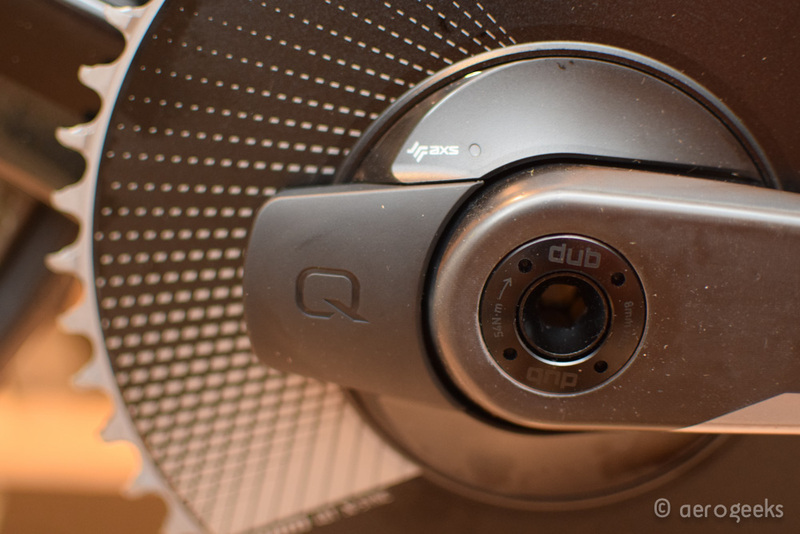 Yes in frame mounting will be an option but it’s still not as small as the latest Shimano (a result we assume of the needs from being wireless). Most of all we want to spend some time with the new AXS app and see how easy it is to use. Being able to configure our Di2 equipped bikes via our phones has been a huge plus. We cannot wait to do that with the new AXS app. Stay tuned for a deep review as we put the miles on our eTap equipped Parlee (as well as a review of the TTIR itself). Let us know any questions you have about the new AXS eTap as well in the comments below! And thanks as always for reading AeroGeeks.com.